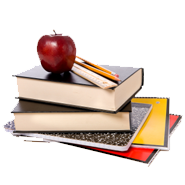 Teachers 2 Go is the only Houston-based education company to provide lessons for all extra-curricular and academic subjects in your home and at your company! We have served thousands of students of all ages and levels since 2007, with now hundreds of instructors covering the widest range of subjects, languages and arts in the greater Houston area! You will find Teachers 2 Go instructors teaching classes on location at companies, in schools, homes, churches and community centers throughout many Houston neighborhoods. Whether it's professional training, academic tutoring, languages, music, social media, or the arts, we have teachers we can bring to you to teach private one-on-one lessons or group classes. All lessons are conveniently provided in the comfort of your own home or on-location at your company. You pay monthly, and can discontinue at the beginning of any month. We have instructors for every subject, every age, and every level from the beginning to advanced professional. Whether you are looking for a recreational activity, to improve performance or test scores, to become a professional or just to try something new for fun, we have a teacher for you. Ask your friends and neighbors who they trust, and see why Teachers 2 Go is known as the "Cadillac" of on-location instruction in Houston! 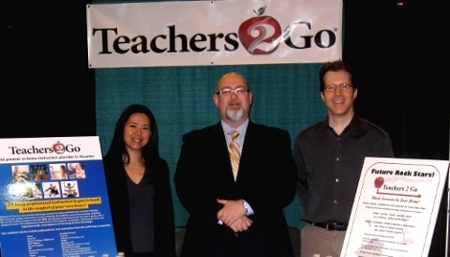 Teachers 2 Go is also a convenient concierge service for busy professionals and their families. We bring top quality instructors to your home or office for all academic and extracurricular activities. An A+ rated company with the BBB and Houston-based business for over 10 years, with a network of hundreds of professional instructors of all subjects, languages, instruments & the arts. From piano, dance, & cooking instruction to math, chemistry, and languages - we have a teacher for every subject, level, and age group in your family or at your office. Experience the convenience of learning at your doorstep!